This weekend we headed over to one of my favorite places in the city - the Meatpacking District. 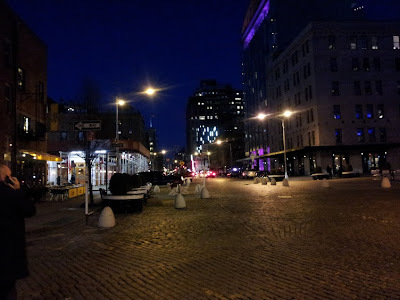 Where the streets are cobblestoned and old slaughterhouses have been converted to hip trendy restaurants and high-end boutiques. 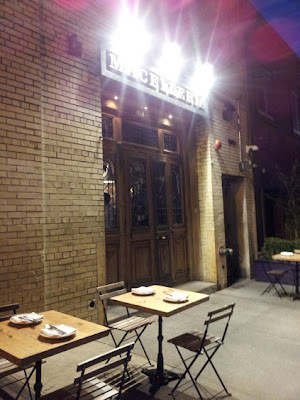 We were there to celebrate my MIL’s birthday at a restaurant named Macelleria, which is Italian for butcher shop. If you’re a steak-lover I highly recommend it as it was voted one of the top steakhouses in the city. I chose to wear my new Simply Black Poplin Dress from eShakti for the occasion, which I’m totally and completely in love with by the way. There’s nothing like customizing your own LBD to fit your needs and eShakti sure outdid themselves because this dress fits like a GLOVE!! I obsessed with everything from the fit and flare silhouette down to the side seam pockets - just perfection. 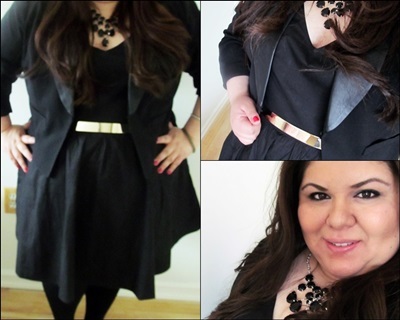 I paired it with faux leather lapel blazer from Forever 21 and a gold plated belt from ASOS to complete the look. That's a beautiful outfit. You look gorgeous! I love love love that belt with your dress. Such a cool piece! I love eShakti too! Although the last dress I got is going to need some altering on top...but it is still impeccably made...and I love it! You look great- beautiful dress, beautiful necklace. Gorgeous! It fits you like a glove! Love eShakti and I love the dress! You look great!